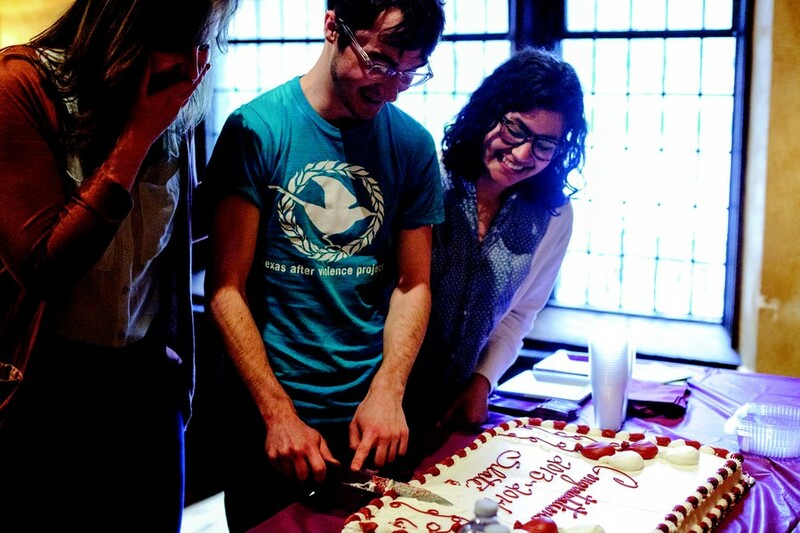 Running on a platform to give SG a more progressive voice on campus, Impact was elected as SG executive slate for the 2013–14 academic year last night, beating out rival slates Ignite, UChicaGOLD, and Moose Party with 44.63 percent of the vote. President-elect and third-year Michael McCown attributed his slate’s victory in part to reaching out to students not normally engaged with SG. “We had a lot of one-on-one conversations where people said, ‘Hey, I’m really glad this is on your platform because it’s important to me.’ Or people saying they had never paid attention to SG, but now this issue really mattered to them,” he said. Rallying support from student activists was also vital to their win, VP-Elect for Student Affairs and first-year Jane Huber and VP-Elect for Administration and second-year Sofia Flores said. With no prior experience in SG, McCown, Huber, and Flores said they will be working with the outgoing slate and the administration to gauge the current state of SG and University affairs, believing that their lack of experience will not be a major hindrance. The slate hopes to look into student wellness issues like the sexual assault policy and mental health services, which impact students across campus and are not strictly activist issues. “We’re taking our activist experience and applying that to issues on campus that affect everyone,” Flores said. For the liaison positions, second-year Brendan Leonard was elected Undergraduate Liaison to the Board of Trustees and Navin Jose Manjooran, a first-year M.B.A. student at the Booth School of Business and the only official candidate, was elected Graduate Liaison to the Board of Trustees. The Community & Government Liaison position, which had no official candidate after the disqualification of first-year Christina Dong early Tuesday morning, went to first-year Tyler Kissinger, a write-in candidate. The twelve winners for College Council positions were also announced last night. Benjamin Hammer, Mark Reid, Alex Bennett, and Theodore “TJ” Welch will represent the Class of 2014. Class of 2015 representatives, which had only two official candidates running for the position, Aseal Tineh and Yusuf Janahi, also include write-in candidates Scott Southern and Matt Montequin. Mike Viola, Holly Rapp, Timi Koyejo, and Amay Sheth will serve as representatives for the Class of 2016. This year’s election cycle was marked by multiple complaints and accusations of misconduct by candidates and constituents, prompting the Elections & Rules Committee (E&R) to issue numerous vote penalties. But according to E&R chair and fourth-year Lester Ang, Impact’s margin of victory meant the election results were not affected by the vote penalties the committee imposed before the election began.